Enjoy the serenity of the Piney Woods by renting Pinecote Pavilion for your next occasion or event. Weddings, company functions, church picnics, family reunions, graduation parties, business meetings, and musical events may be scheduled throughout the year. Recommended maximum standing capacity is 150 persons. $100 non-refundable security deposit required to reserve a date. 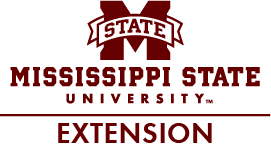 For more information, contact Kimberly Johnson at 601-799-2311 or email kim.johnson@msstate.edu. Tobacco Policy Mississippi State University policy (OP 01.301) applies to The Crosby Arboretum. “Tobacco use is banned from all university property including interior spaces, university vehicles, partially enclosed spaces, and outside grounds. Tobacco use is allowed within enclosed personal vehicles.” All staff, volunteers, exhibitors, and guests are expected to comply.